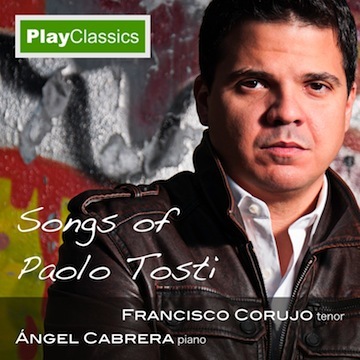 "...Ángel Cabrera, excellent pianist, offers also a precious interpretation of the delicious accompaniments of these songs..."
"...Cabrera the best companion you could choose. He plays really close to the voice, with which he communicates smoothly, supports, follows in the rubato, in light ritardandi and leaves free field at the fermatas. An agile and flexible touch,he is a rigorous servant of the diverse accents and of the most varied rhythms..."
"...Sobotka was wonderful as well as Angel Cabrera at the piano, He is a fine, accurate and very musical performer, who we wish to hear again live. Accompany a voice is not easy and Cabrera knows. Therefore he strives to form an indivisible whole with the singer ...."
Why choose Ángel Cabrera to perform this anthology of Debussy? ...then there is his supremely delicate sensitivity, there is his ability to produce some incredible piano passages, in obedience to what Claude Achille Debussy himself sought." 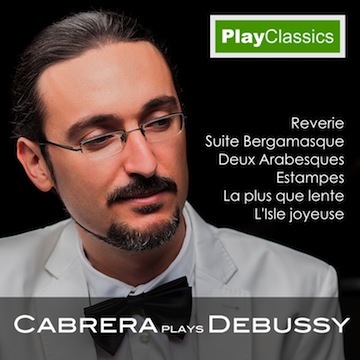 "The Parisian salon, lyricism, the great romantic piano, echoes of Poland..."
"...The exquisite sensitivity and musicality of this Lanzarote-based tenor and the pianist Ángel Cabrera transport these traditional folk songs to a virtuoso universe where magnificent moments are to be enjoyed..."